Mio, voted “Magician of the Year” by Ring 45 of The International Brotherhood of Magicians, is truly a World Class Magician & Mentalist. Born into a NYC show biz family, he has been performing professionally since 1989 and makes his home between Miami Beach and NYC. Mio was the featured entertainer at Barbra Streisand’s birthday party hosted by Donna Karan where he also performed for Robert De Niro and Woody Allen. 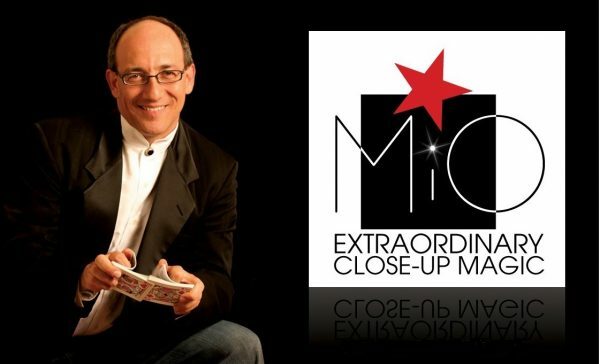 Some others who have experienced Mio’s rare combination of Magic & Mentalism include: Anderson Cooper, Mike Nichols, Joel Grey, Art Garfunkle, Chuck Mangione, Diane Von Furstenberg, Grace Jones, Sara Jessica Parker, Mathew Broderick, Burt Reynolds, Blondie, Bernadette Peters, Liza Minelli, Gloria Estefan, Penn & Teller, Siegfried, Gianni Versace, Timothy Hutton, ‎Ivana Trump, Prince Albert of Monaco and Saudi Arabia’s Prince Aziz. He has performed at the Miami Heat’s Team Holiday party for 15 consecutive years in a row. “He did things I’ve never seen anyone do. We’ve seen many magicians but he’s the most amazing!” – Chris Riley, wife of Miami Heat Team President, Pat Riley. Mio has also personally performed for LeBron James, Mario Lemieux, Wayne Gretzky, Bobby Hull, Dan Marino, John Elway, Dwayne Wade, Shaquille O’Neal, Bob Costas, Al Michaels, Emmit Smith, Troy Aikman, Don Shula, Mickey Arison, Wayne Huizenga, John Henry, Robert Kraft and Mario Andretti. Mio shares the Wonder of Magic and has performed for Presidents and Princes, for celebrities and causes, at fund raisers, on cruise ships (Alaska, Amazon, Bahamas, Baltic, Caribbean, Europe, Hawaii, Middle East, Panama Canal and Russia), stage and Television, and at World class resorts and private parties. As comfortable performing close-up magic as he is presenting his one man Magic & Mentalism Stage Show in a full theatre, Mio’s shows alway amaze! Corporate clients include; American Express, AT&T, BNY Mellon, Citibank, Delta, Deutsche Bank, Fortune International, GE, Gunster, HIG Capital, HMY Yachts, IBM, IMS, Maison Brison, Marcum, Matrix Medical, PepsiCo, Pertek, Phillip Morris, Prestige Cruise Holdings, Real Auction, SEACOR Holdings, Shell, Stellar Adjusting, TD Bank, UPS, YPO.